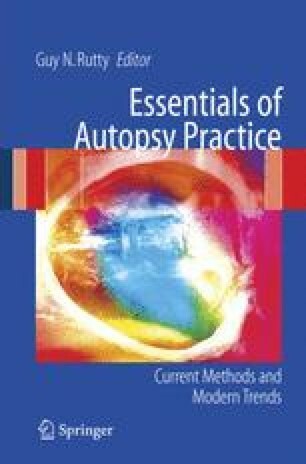 Injury to the chest and abdomen is common in clinical and autopsy practice. Although the range of injury to both the body wall and the viscera is enormous, constant patterns and associations are encountered. Knowledge of these patterns and association is essential to the accurate interpretation of their causation, which then assists greatly in the reconstruction of events that caused the injury. Identification and precise description of the pattern and severity of individual injuries enable comparison with published data. Reference to the clinical literature provides models for such an approach. A vague and imprecise description of the injuries should no longer be considered sufficient in the pathologic reporting of such cases.